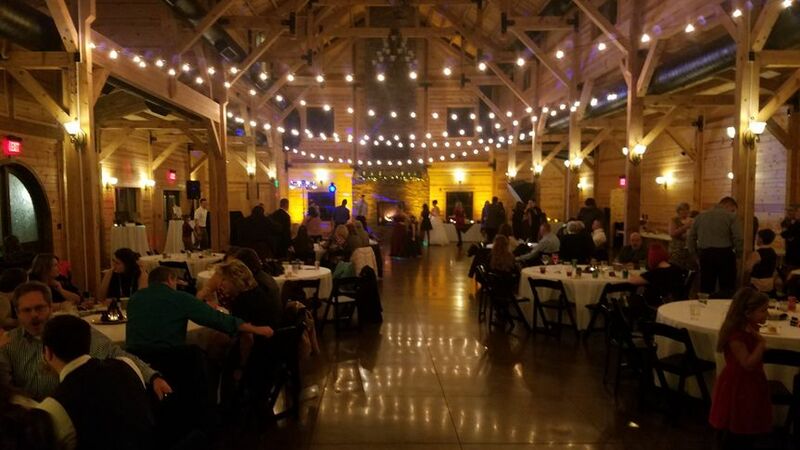 Celebrations of Sound is a DJ entertainment business based in Dayton, Ohio that has been delivering amazing music and creating everlasting memories for over 20 years. 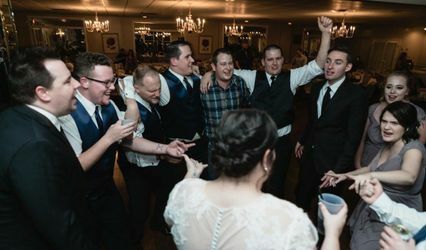 They will create a fun and energetic atmosphere for your special occasion, always working with you to make sure your wedding sounds like YOU! 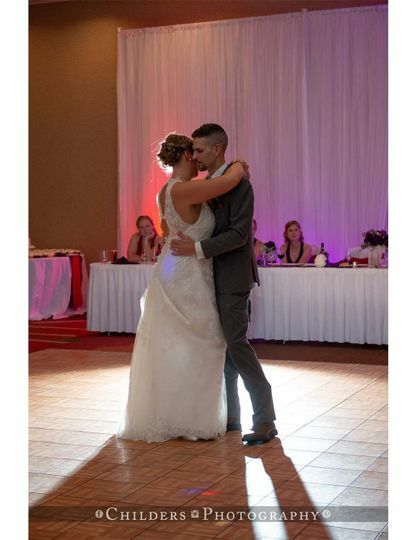 Our original DJ backed out of our wedding 9 days before our big day. Talk about panic! Chris went above and beyond to help us out. 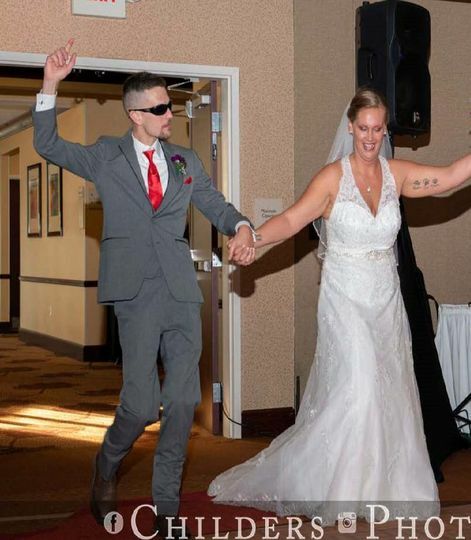 He originally had to work at a local club the night of our wedding but contacted a coworker to cover his shift and got back with us the same day to confirm that he would be able to DJ for us. He fit us into his schedule to meet and discuss music selection on short notice, and we have very difficult schedules to work with. 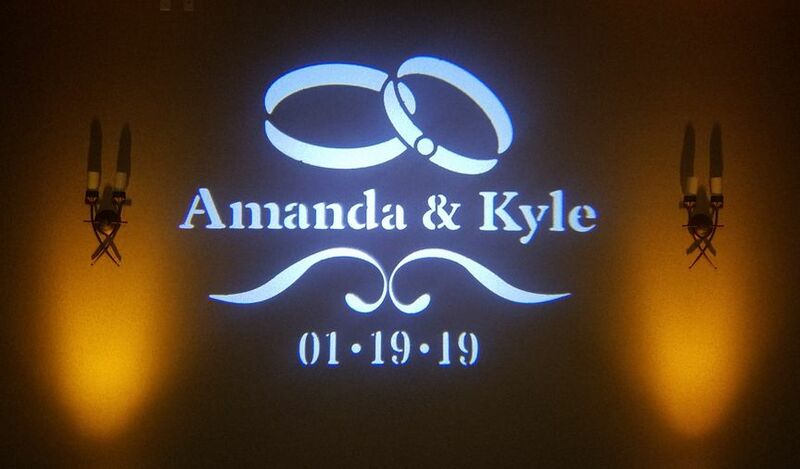 He was very reasonably priced and was even able to offer fantastic uplighting and lights that projected our names on the floor (things we weren't getting with our previous DJ). The day of our wedding we got hit with a terrible snow storm and had been getting calls left and right with guests no longer coming. 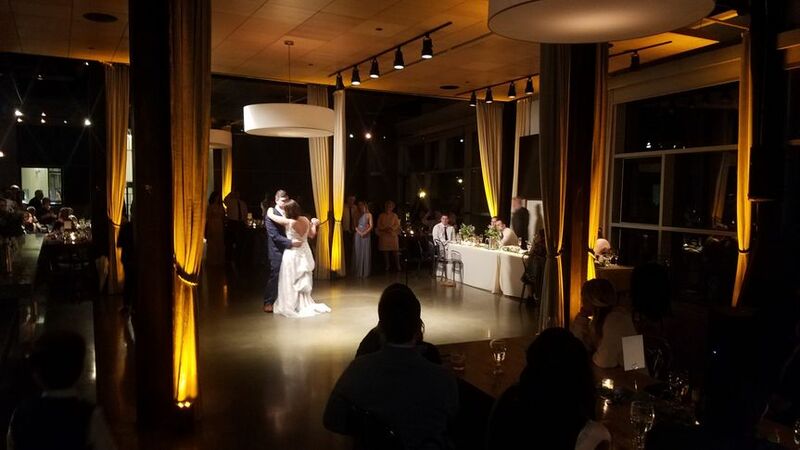 I was completely stressed out thinking that none of my vendors would be able to make it to the venue, then Chris texted me to reassure me that he had a truck and would be there no matter what! He even included wireless mics for our ceremony which was necessary for us since my grandfather was officiating. The music was fantastic and he had everyone dancing all night! If you want great music and a vendor that is genuinely nice- you can't go wrong with Chris! Thanks Amanda! I'm glad I was able be a part of such a great day and night. 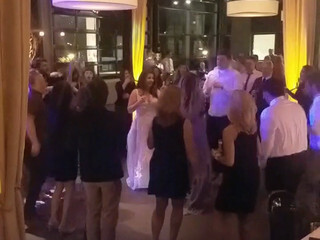 Your wedding party and family and friends made my job a lot of fun as they we ready to dance and party the whole time. 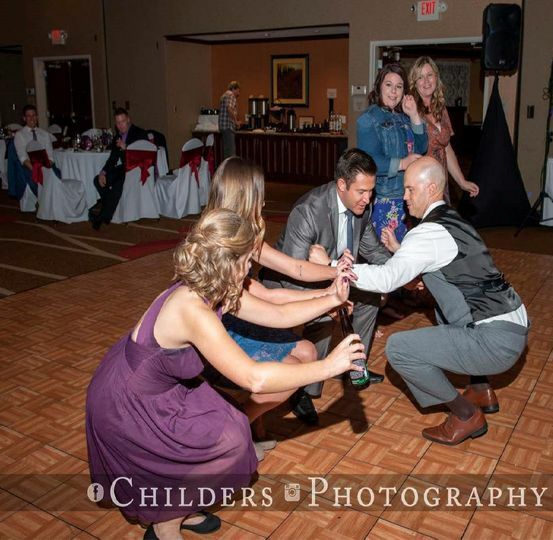 I especially loved watching the Cotton-eyed Joe! You and Kyle were super to work with and I'm glad I got the chance to know you both. Wishing you the best on your life together! was a great MC for our introductions and ceremonies. I would highly recommend him to others. 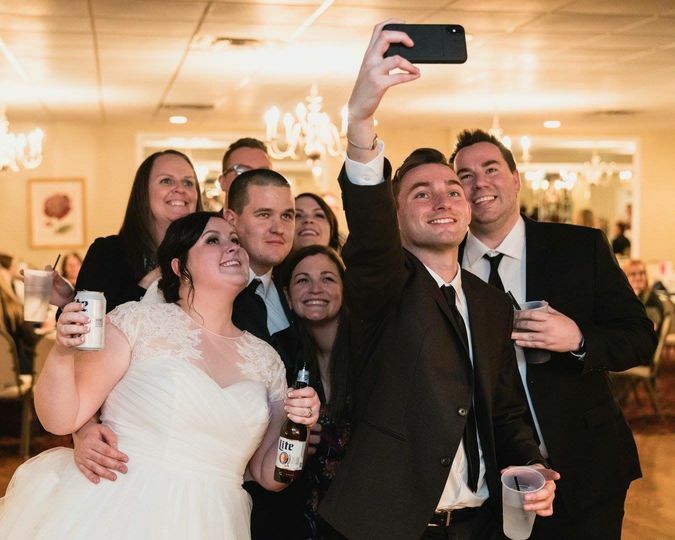 I've known Chris for roughly 6-7 years so when it was time to pick a DJ for our wedding, there was no question as to who it would be and he exceeded all expectations! 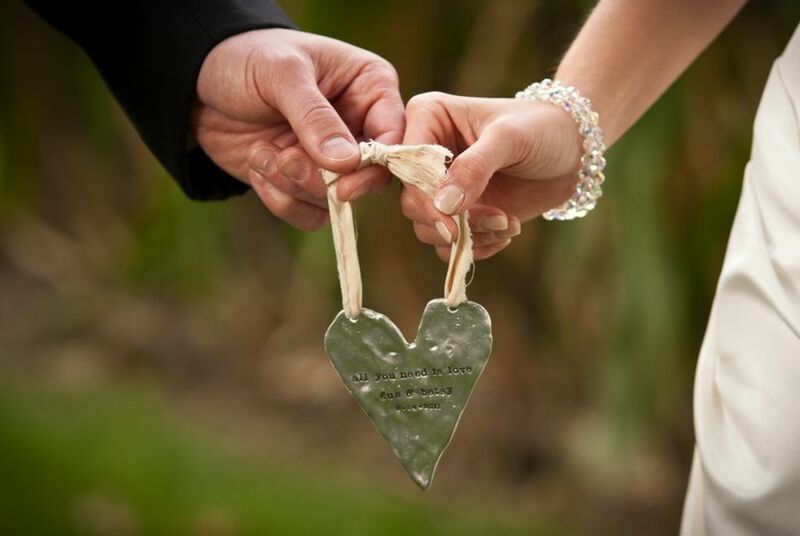 He met with us prior to the wedding to get ideas about what we wanted and needed. 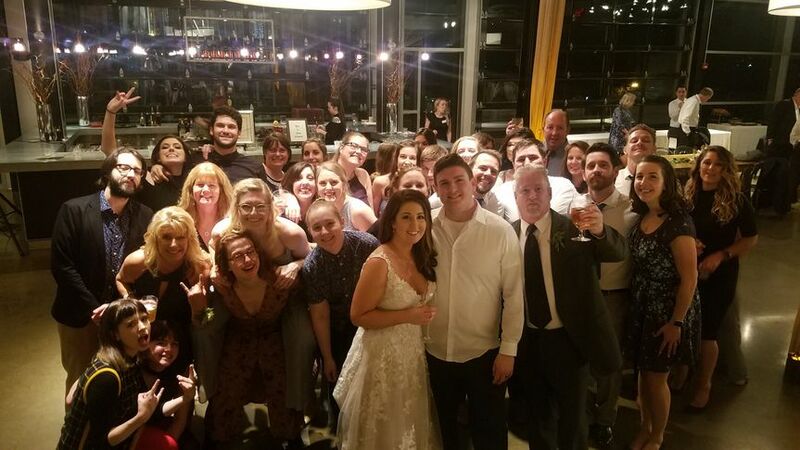 He made the wedding absolutely perfect and everyone had a great time! Thanks for everything, Chris!